I'm no dessert hero, but I know who is: Mary Berry. The Queen of Puddings herself. Everybody's favourite TV cooking personality and the woman whose fabulousness and culinary prowess I aspire to attain by the time I'm 81. It's coming to that time of year again when the scent of freshly cut grass is the first thing you notice when you step out the door, you've probably planned an afternoon with the family picking strawberries at the weekend, and the Great British Bake Off is just around the corner. Yep, these are some of my absolute favourite things about summer - not to mention endless Pimms and Wimbledon nonstop on the tele - and it makes me want to dust off my copy of Mary Berry's Absolute Favourites and bake my way through June, July and August, slowly fattening myself up for the winter ahead. But wait, I'm not actually that great at baking... I mean, I successfully made macarons that one time, and a questionable batch of golf-themed cupcakes for my boyfriend's 21st, but I'm definitely not a dessert hero. Plus, I'm way too busy at the moment, running a blog, my own business and working as a journalist alongside it all to even think about turning on the oven to make something tasty and pretty. Searching around the shops for something decent to pass off as my own creation, I come across Mary Berry's sharing desserts - one, a rich Belgian Chocolate Brownie Pudding*, looks like it would be perfect for a date night in, whilst the other, a Luxury Summer Fruit Pudding* appears ideal for a post-Sunday lunch sweet treat. Perfect! 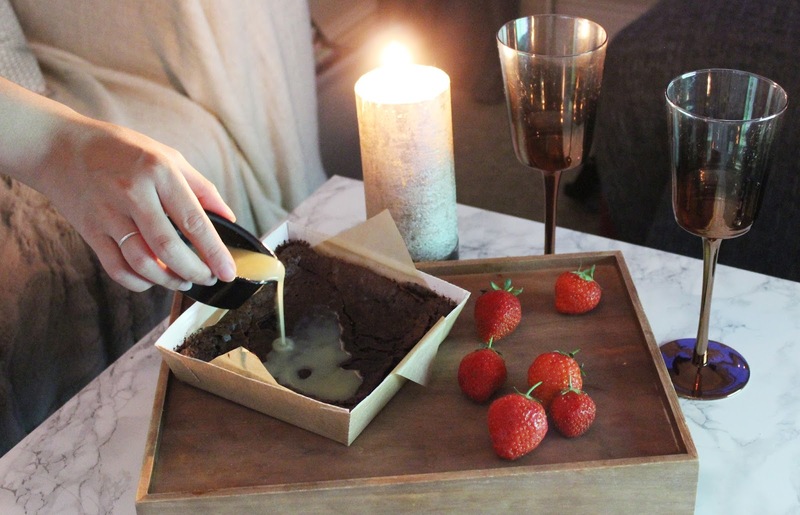 With easy-to-read instructions and even a little pot of sauce for pouring, I popped the Brownie Pudding in the microwave until it was piping hot and served it up with some strawberries and rosé (of course) to eat with dear boyfriend. We demolished the whole thing, even though it could have fed five people. Gooey, rich and, above all, chocolately, this is the ideal pudding for any chocoholic. It's great for, as I said, date nights, but it's also perfect for a dessert after a family dinner with a dollop of ice cream each, or to share with friends and a good movie. I would happily repurchase. The Luxury Summer Fruit Pudding was even easier to prepare; simply remove the packaging and tip upside down onto a plate, et voila! The strawberries, raspberries, blackberries and blackcurrants create the most perfect medley of summer berries, while the summer syrup and soft white bread layers make this into a delicious treat for you and your family and friends: a tasty and tangy bite of summer to enjoy on an afternoon in the garden, wide-brimmed hat tipped back and sunglasses on, feeling a little bit like Audrey Hepburn whilst perching on a bistro seat. Ahh, summer, you do bring happiness to us all. 1. What inspired you to create the new range of traditional puddings to share? British Classic puddings are great for family occasions and I want to share my favourites. 2. Why do you think classic pudding recipes will always be popular? These are the puddings that people love and remember. 3. Was there a reason that you chose to launch with the Belgian Chocolate Brownie Pudding and Luxury Summer Fruit Pudding? 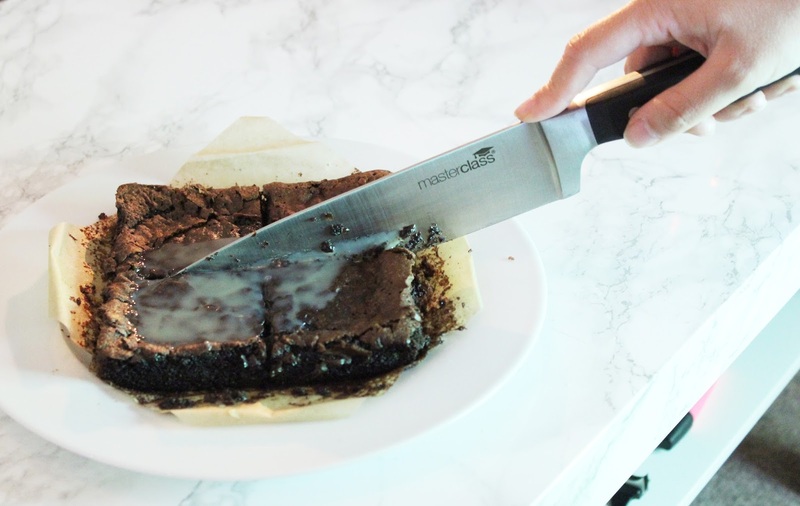 I love brownies and this was a perfect excuse to make it into a pudding. Summer is my absolute favourite and there is no reason not to have it all year round. 4. Have you always had a sweet tooth? It's not about having a sweet tooth, I love to end a meal with something on the sweet side and these puddings are very tempting ! 5. You mention that your mother was an inspiration for the new products, what was her favourite dessert and were you inspired to bake because of her? Mum loved Bread and Butter Pudding and hers was the best. 6. How does creating a ready made dessert recipe differ from creating a recipe for a book? They are all very similar but I make sure that only the best ingredients are used. 7. You’ve had a very busy start to 2016, are you looking forward to what’s coming up? I certainly am - more Great British Bake Off, my own programme, another book, life is good! 8. Do you manage to enjoy leisurely meals with your family? Yes definitely, the more often, the better.